The film, which stars “Insecure” creator Issa Rae alongside Lakeith Stanfield (“Sorry to Bother You”), is a romantic drama centered on intertwining love stories in the past and present. 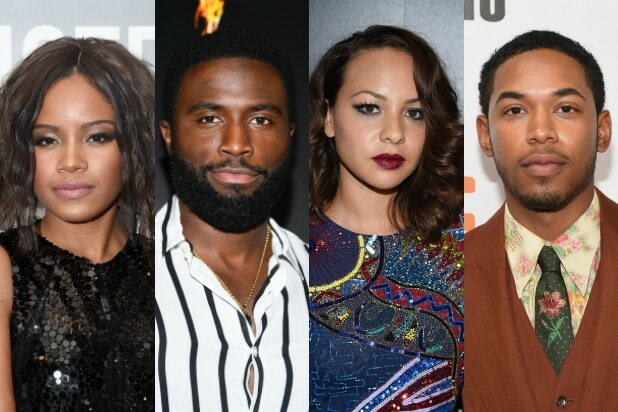 Chante Adams recently starred in “Monsters and Men” along with John David Washington, and she’s most known for her role as ’80s and ’90s rapper Roxanne Shante in Netflix’s “Roxanne Roxanne.” Fellow “Monsters and Men” co-stars Kelvin Harrison Jr. and Jasmine Cephas Jones, of “Hamilton” fame, also joined the cast. What roles they will play wasn’t revealed. “The Photograph” is based on an original spec script that Meghie wrote. Will Packer will produce the film along with James Lopez under his company Will Packer Productions. Universal’s senior vice president of production Sara Scott and creative executive Mika Pryce will oversee production for the studio. Rae will serve as executive producer. Adams is represented by WME and Brillstein Entertainment Partners. Jones is represented by ICM, Ryan LeVine at Jackoway Austen Tyerman and Andrew Tetenbaum at ATA Management. Harrison Jr. is represented by WME, Stride Management and Del, Shaw, Moonves, Tanaka, Finkelstein & Lezcano, and Noel is represented by WME, Stride Management and Hansen, Jacobson, Teller, Hoberman, Newman, Warren, Richman, Rush & Kaller.